Just tried Nitro Coffee this weekend and I am hooked. 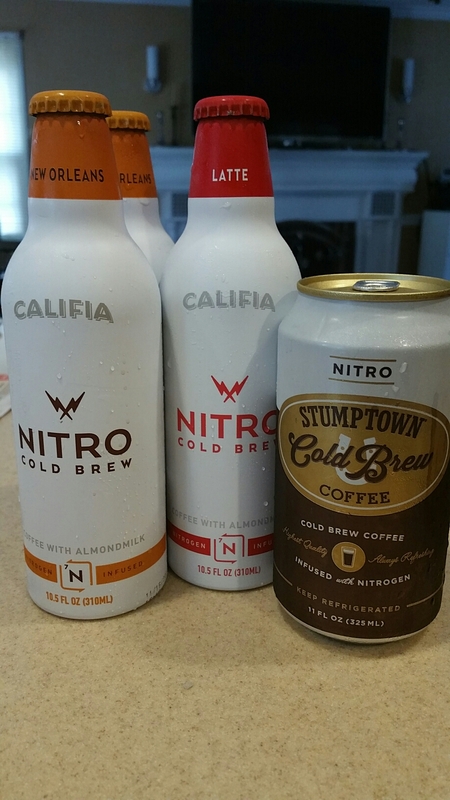 I am especially impressed by Califia Brand Nitro Cold Brew – New Orleans style which reminds me of Cafe Du Monde chicory coffee, except for the addition of Califia Almond milk and Nitro’d. It’s got a consistency that is similar to Guiness and is actually produced in a similar way.. however they do it it’s delicious.. the micro foam is sweet and thick and very satisfying. I woke up early just to try it.. A bit on the expensive side at $5 a can. but in my opinion, worth it.